"A Game development sim, create your own game development company and try to make it successful"
Game Dev Tycoon is an interesting concept it´s like theme park or sim city except you are a games developer starting out at the birth of the games industry, it´s a novel idea and sounds very promising. 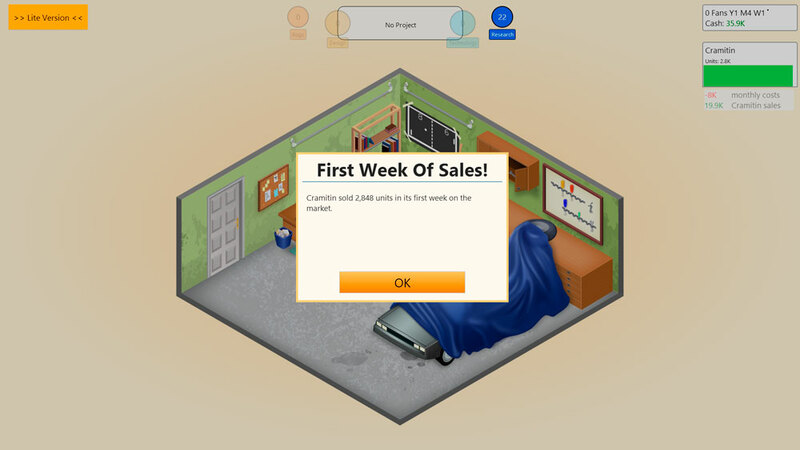 The free demo of Game Dev Tycoon only allows you to play the first 5 years, the game should span about 30 years in total as your game development empire grows. There is some nice nostalgic moments as computers and consoles are released that all look very familiar and you can decide whether to release the games you have developed on the less successful but cheaper to publish machines or on the more successful but much more expensive to publish newly released machines, you also decide what kind of games to develop and which areas of the development to focus on to make your game appeal to the market. Once finished your game will receive reviews and this may have some bearing on the success of the sales of your games. Whilst the idea of this game was very exciting it lacks in anything substantial to keep you playing at least in the free demo anyway, it´s just really making decisions, clicking buttons and hoping that one of your various combinations will bring you success, and after a while you are just sitting in your garage making choices, it doesn´t have the fun element of a game such as Theme Park for example where the monotony of simply making business decisions is broken by designing a roller coaster. 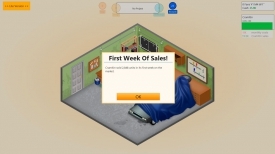 Like a deceitful postman, Game Dev Tycoon promised a lot but did not deliver much, perhaps it´s unfair to judge based on the free demo alone but there is just not enough depth here to keep you entertained for very long.